I’ve always found it a bit strange that we’ve had to use a language like C# or Java to write automated tests using Selenium. Before we can get started, we first need to get Node.js installed. 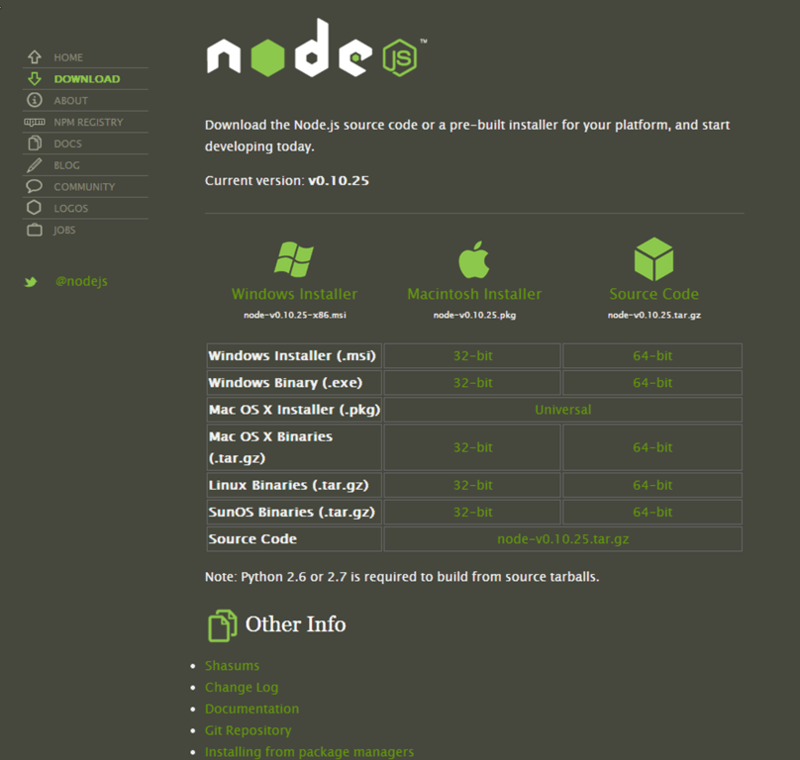 Just head over to the Node.js site’s download page to find downloads for Node.js for each platform. Once we have Node installed, we need to get Selenium webdriver so that we can actually have a way to automate a browser. Not so fast though, before we can get that part working, we’ll need to make sure we have the latest chrome driver. 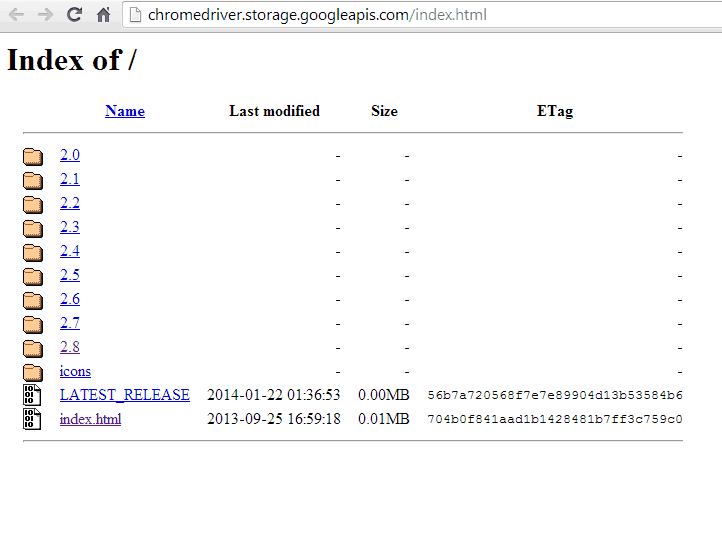 Go download the Chrome driver first and put it in your PATH. Go to the location where you are going to create your test project and either open up a command line or terminal window there. We’ll use Node’s built-in package manager, or NPM, to install the Selenium webdriver package. 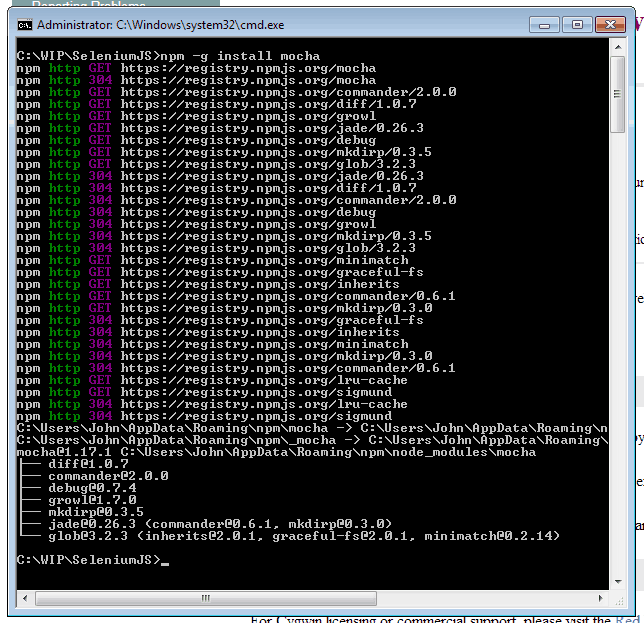 Just run “npm install selenium-webdriver” to install Selenium webdriver in the current project directory. Let’s do a quick test to make sure everything is working so far. We can get Mocha using the Node package manager as well, but for Mocha we want to use the –g option which will install the package globally instead of just locally to our project. 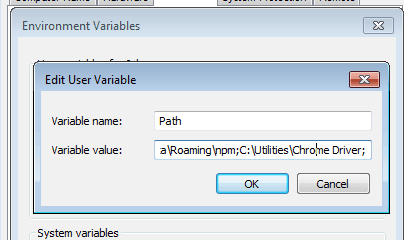 This will allow us to run Mocha on Windows without using Cygwin. Now we are ready to write our first test using Mocha. This simple test will test that we can type “simple programmer” into Google’s search box and verify that the text is there. A pretty simple test, but it demonstrates the basic skeleton of creating an automated test with Mocha using Selenium with Node.js. If the test executes too quickly, you can comment out the driver.quit to keep the browser window open. And if you liked this post, go ahead and sign up here to make sure you don’t miss other content like this.